Change doesn’t occur without courage. It takes a special kind of stubbornness to start a new thing in your life, to change the course of it. A stubbornness to keep going against the odds and swim against the current. Life in Christ means that you are being called upon to be a pioneer. He is calling you to be the first in your family to stay married, to break the cycle of unhealthy habits or to break the cycle of emotional or physical abuse. God is asking you to be a change maker and to be stubborn about it. 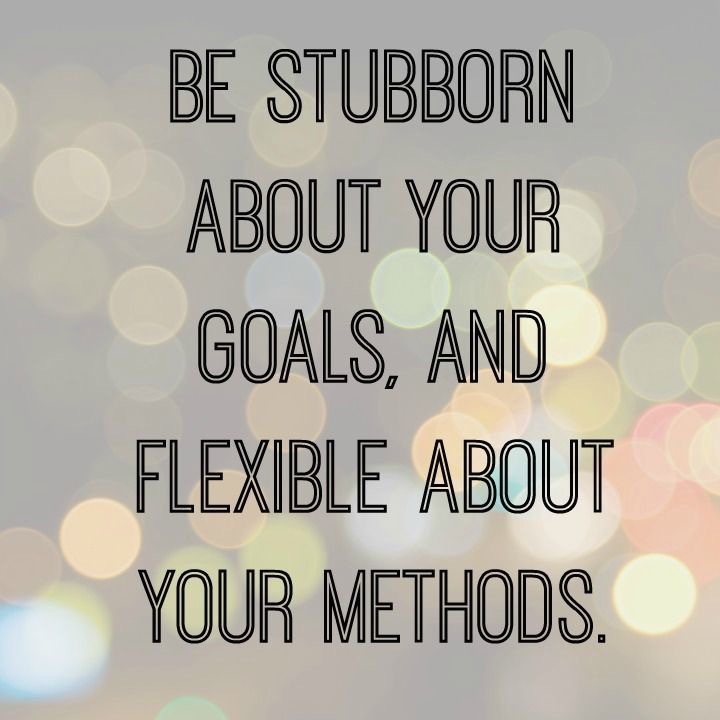 Be stubborn about your goals but flexible about your methods. Jesus never did the same miracle twice. Each one was different and unique. Be creative, use what God has given you and fight for change. Change worth having is worth fighting for. Go ahead – be stubborn and be courageous today.